It is the time of the autumn equinox, and the harvest is winding down. The fields are nearly empty because the crops have been plucked and stored for the coming winter. Mabon is the mid-harvest festival, and it is when we take a few moments to honor the changing seasons and celebrate the second harvest. On or around September 21 (or March 21, if you're in the Southern Hemisphere), for many Pagan and Wiccan traditions it is a time of giving thanks for the things we have, whether it is abundant crops or other blessings. It's a time of plenty, of gratitude, and of sharing our abundance with those less fortunate. Depending on your individual spiritual path, there are many different ways you can celebrate Mabon, but typically the focus is on either the second harvest aspect or the balance between light and dark. This, after all, is the time when there is an equal amount of day and night. While we celebrate the gifts of the earth, we also accept that the soil is dying. We have food to eat, but the crops are brown and going dormant. Warmth is behind us, cold lies ahead. Here are a few rituals you may want to think about trying. Remember, any of them can be adapted for either a solitary practitioner or a small group, with just a little planning ahead. Setting Up Your Mabon Altar: Celebrate the Mabon Sabbat by decorating your altar with the colors and symbols of the late harvest season. Create a Mabon Food Altar: Mabon is a celebration of the second harvest season. It's a time when we're gathering the bounty of the fields, the orchards, and the gardens, and bringing it in for storage. Ten Ways to Celebrate the Autumn Equinox: This is a time of balance and reflection, following the theme of equal hours light and dark. Here are some ways you and your family can celebrate this day of bounty and abundance. Honor the Dark Mother at Mabon: This ritual welcomes the archetype of the Dark Mother and celebrates that aspect of the Goddess which we may not always find comforting or appealing, but which we must always be willing to acknowledge. Mabon Apple Harvest Rite: This apple ritual will allow you time to thank the gods for their bounty and blessings, and to enjoy the magic of the earth before the winds of winter blow through. Hearth & Home Protection Ritual: This ritual is a simple one designed to place a barrier of harmony and security around your property. Hold a Gratitude Ritual: You might want to consider doing a short gratitude ritual as a way of expressing thankfulness at Mabon. Autumn Full Moon -- Group Ceremony: This rite is written for a group of four people or more to celebrate the full moon phases of the fall. Mabon Balance Meditation: If you're feeling a bit spiritually lopsided, with this simple meditation you can restore a little balance into your life. Interested in learning about some of the traditions behind the celebrations of September? Find out why Mabon is important, learn the legend of Persephone and Demeter, and explore the magic of apples and more! Also, don't forget to read up on ideas for celebrating with your family, how Mabon is celebrated around the world and the reason why you'll see so many Pagans at your favorite Renaissance Festival. 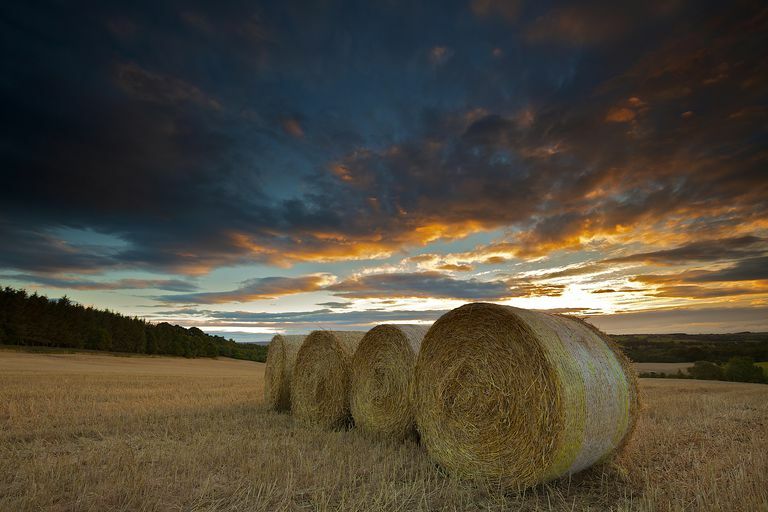 Mabon History: The idea of a harvest festival is nothing new. Let's look at some of the histories behind the seasonal celebrations. Origins of the Word "Mabon": There is a lot of spirited conversation in the Pagan community as to where the word "Mabon" originates. While some of us would like to think that it's an old and ancient name for the celebration, there's no evidence to indicate that it's anything other than modern. Celebrating Mabon with Kids: If you’ve got kids at home, try celebrating Mabon with some of these family-friendly and kid-appropriate ideas. Mabon Celebrations Around the World: Let's look at some of the ways that this second harvest holiday has been honored around the world for centuries. Pagans and Renaissance Festivals: While the Renaissance Festival, whichever one you may be attending, isn’t inherently Pagan itself, it’s definitely a Pagan-magnet. Why is this? Michaelmas: Although it's not a Pagan holiday in the true sense, Michaelmas celebrations often included older aspects of Pagan harvest customs, such as the weaving of corn dolls from the last sheaves of grain. The Gods of the Vine: Mabon is a popular time to celebrate wine-making and deities connected to the growth of the vine. Gods and Goddesses of the Hunt: In some of today’s Pagan belief systems, hunting is considered off-limits, but for many others, deities of the hunt are still honored by modern Pagans. Symbolism of the Stag: In some Pagan traditions, the deer is highly symbolic, and takes on many aspects of the God during the harvest season. Acorns and the Mighty Oak: In many cultures, the oak is sacred, and is often connected to legends of deities who interact with mortals. Pomona, Goddess of Apples: Pomona was a Roman goddess who was the keeper of orchards and fruit trees. Scarecrows: Although they haven't always looked the way they do now, scarecrows have been around a long time and have been used in a number of different cultures. Mabon is a time rich in magic, all connected to the changing seasons of the earth. Why not take advantage of nature's bounty, and work a little magic of your own? Use apples and grapevines to bring magic into your life at this time of year. Mabon Prayers: Try one of these simple, practical Mabon prayers to mark the autumn equinox in your celebrations. Apple Magic: Because of its associations with the harvest, the apple is perfect for Mabon magic. Grapevine Magic: Here are some simple ways you can incorporate the bounty of the grapevine into your fall harvest celebrations. The Magic of the Kitchen Witch: There's a growing movement within modern Paganism known as kitchen witchery. The kitchen is, after all, the heart and hearth of many modern households. Raise Energy with a Drum Circle: Drum circles are a lot of fun, and if you've ever attended a public Pagan or Wiccan event, chances are good that somewhere, someone is drumming. Here's how to host one! As the autumnal equinox approaches, decorate your home (and keep your kids entertained) with a number of easy craft projects. Start celebrating a bit early with these fun and simple ideas. Bring the season indoors with harvest potpourri and magical pokeberry ink, or celebrate the season of abundance with prosperity candles and cleansing wash!